ASAP Meetings & Events - Passionately Pursuing Purpose in the Events & Meetings Industry! Passionately Pursuing Purpose in the Events & Meetings Industry! We live in a fast-paced world. Everyone wants everything done ASAP. That's our mantra, too, with a twist: we're "As Strategic As Possible" to help you attain your goals and surpass your stakeholders' dreams! At ASAP Meetings & Events we focus on our clients' requirements for strategic performance, meeting the expectations of every project's multiple stakeholders. With Return on Investment as your primary focus, we rise to the challenge through focused and individualized free initial consultations. Then, through careful and calculated consideration, our team crafts a coordinated plan to guarantee success! We approach non-profit and corporate meetings, incentives, conferences and events with the finesse and professionalism necessary to produce positive results. 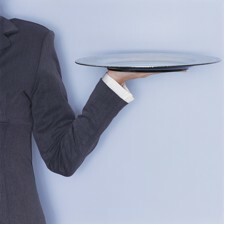 Let us serve up your request on the proverbial silver platter! Pulling your hair out over your upcoming training conference? Need to hold a gala or fundraiser? Crave advice on an incentive location? Have a volunteer group that needs managed? Struggling with details and ideas for a commemorative event? Golf tournament out of control?